Actor Rob Lowe is known for time spent with the ’80s era Brat Pack as well as his tenure on the notoriously left of center drama The West Wing. The latter apparently didn’t leave much of a mark on Lowe’s political identity. 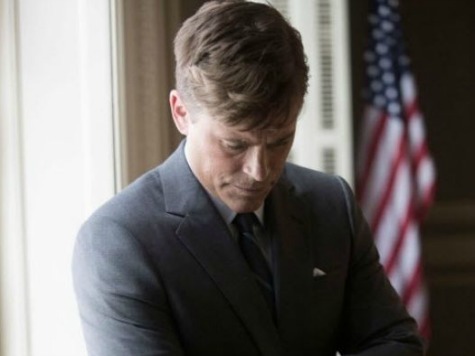 The actor, just seen playing President John F. Kennedy in the NatGeo hit Killing Kennedy, told NBC’s David Gregory more Americans should take the late leader’s call to ask what we can do for our country–not the opposite. My own worldview is that the individual needs to be more responsible for their own lives, and that’s not the conversation we’re having right now, for whatever reason,” he said.